Wolverine is owned by and supplies wholesale electric power to seven members. 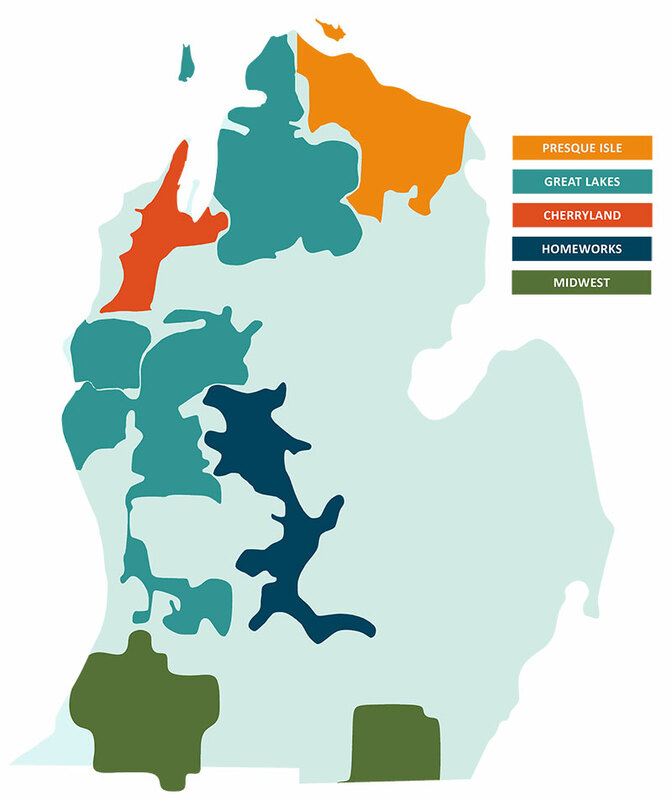 Our five distribution cooperative members – Cherryland, Great Lakes, HomeWorks, Midwest, and Presque Isle – were formed in the 1930s to serve rural areas of Michigan’s Lower Peninsula. Today, these cooperatives supply power to more than 268,000 homes, businesses, and farms in over 40 counties. Spartan Renewable Energy is a private, for-profit corporation organized to sell renewable energy and environmental attributes. Wolverine Power Marketing Cooperative is a retail electric cooperative organized to sell electric energy to commercial and industrial customers in Michigan’s electric choice market.